A couple of months ago I had a conversation with two academic friends of mine about why they refused to use any messenger other than WhatsApp. “We just want it to work!” they said. “Well, Volkswagen cars work” I hit back. “That’s different,” they said. But then what about fairly traded or local or organic food? That was important to them. And buying things from non-oppressive regimes. Oh and renewable energy. You get the idea. All of this – I argued – ought to be the way we think about our tech as well. There are ethical choices – in terms of data protection, a company’s ethics, the market dominance and (lack of) competition in a market, the tax regime enjoyed by a company, the location of a company’s servers, how it deals with oppressive regimes etc. – that come with any choice of gadget or online service. Within this there are few absolutes – everything is a balance of the good and bad, as will become clear in this blog post. I will explain how I have come to terms with these ethical questions and will propose solutions and my reasons. I’m self employed, so this tech works for me for both work and personal use, although the lessons here ought to apply more to personal use of tech. Of course feel free to disagree with me in the comments below! My main motivation here was that Google’s role in search is too dominant – more than 90% market share in the largest European countries. Qwant and DuckDuckGo also pay greater attention to users’ privacy (here’s DuckDuckGo’s founder explaining how and why). 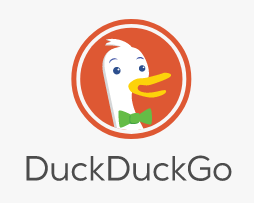 DuckDuckGo is lightning fast and gives better search results than Qwant, so that’s why I am sticking with them. This is one of the simplest and easiest changes to make. Firefox Quantum (on MacOS anyway) absolutely rocks. It’s fast, stable, the design is excellent, and the range of extensions for it is brilliant (not least with regard to Facebook – see below). It’s more flexible than Safari, and you avoid being drawn into the Google ecosytem that is the headache with Chrome. Google is not as dominant in the browser market as in search, but again I want to avoid market dominance. Firefox on iOS is solid too, and you can sync between MacOS and iOS if you want to. Opera is a viable alternative, although I found is slower and less stable. Ranked (with Posteo) as the best email provider by Stiftung Warentest, Mailbox.org is a small Berlin-based firm that prides itself on being privacy friendly. You have to pay to use its email services (I pay €2.50 a month, the cheapest is €1 a month), but then you see no adverts and your emails are not scanned to provide those ads (as happens in Gmail). You can use your own domain name for your email there (so my emails are @jonworth.eu and not @mailbox.org), there is a solid Webmail and you then use IMAP to read your email in the standard mail apps on your computer or phone. At the start you might need to run your old Gmail and a new service in parallel while people get used to your new address, but after that there ought to be no going back. While you are at it, think about PGP Encryption of your email too – GPG Suite does the job for that for me on MacOS. Also when I quit Gmail in 2015 I explained my reasons here. These are internet standards, not service providers. To use either you need a provider that supports the standard – in this case my email provider Mailbox.org (see above) also supports CalDAV and CardDAV. This means that my calendars and contacts are synchronised between my Mac, my iPhone, and Mailbox.org’s servers. Importantly these two standards are natively supported in MacOS and iOS, meaning sync this way is just as seamless as doing it using Apple’s cloud services, but, well, you are not using Apple’s cloud services. 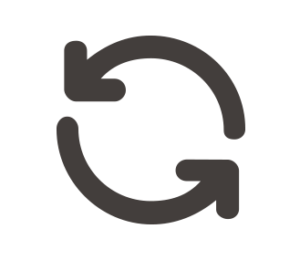 When I experimented with Android a couple of years ago the CalDAV and CardDAV support was not as good there – it may have improved by now. I can’t stop using Google here. I am yet to find a maps service that is as reliable or as easy to use. Apple Maps remains pretty horrid in my view. My only partial alternative is Maps.me that makes use of OpenStreetMap data and provides handy downloadable maps, bookmarking functions, and a solid turn-by-turn GPS that does not need an internet connection to work – very handy if you are travelling in the middle of nowhere. But when you are not then Google Maps still wins. This is most complex one here, and would not be where I would start. I also still (intermittently) use Dropbox and Google Drive as well. ownCloud runs on my own web server, and keeping it running smoothly over the years has been quite a headache. At the moment the latest version (and its MacOS and iOS apps) work very smoothly, and it offers everything a cloud service for files would ever need – but to get it running requires more technical knowledge than 99% of users will have. Using ownCloud also allows me to avoid Apple’s cloud services as well. Remember App.net? Status.net and GNU Social? Ello? No. They tried to rival Twitter and did not succeed. I am a political nerd, and so there is no way to avoid Twitter. So the only solution is to try to use it in the best way possible – to use a third party Twitter client (i.e. one not made by Twitter itself – more detail here) that allows you to avoid seeing advertising, and also keeps your timeline chronologically organised (no “what you may have missed” and other algorithm-filtered stuff). 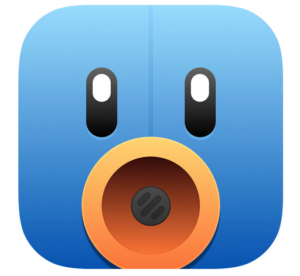 I swear by Tweetbot on MacOS and iOS, but Twitterific (MacOS and iOS), Tweetings (iOS and Android), Tweetduck (Windows – thanks LittleGravitas for the tip! 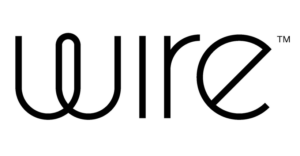 ), Twidere (Android), Talon (Android – thanks LittleGravitas again!) and – in a browser – Tweetdeck. I might love to hate it, and despair that the News Feed algorithm feels like it is controlling me, but there is a reason Facebook is the biggest social network – it is good at what it does, and as a tool to keep in touch with friends in far-away places it is excellent. Here I want to find ways to use it reasonably ethically. First of all, anything I post on it I consider public – holiday pictures with people in them are not shared there any more. Second, I have un-liked pretty much every Page I ever liked to reduce the filter bubble effect on my news feed – the posts there are now more random as a result. Third, I use Facebook predominantly in a web browser (Firefox, see above) that allows me to install AdBlockPlus (Firefox Add-on) and Greasemonkey (Firefox Add-on), and then I used this guide to configure the latter, allowing me to hence avoid the adverts for dating sites and “5 of your friends like Red Bull”. Firefox has also just released a special container for Facebook – I have not tried this yet. This is all far from perfect, but it is better than the default Facebook experience, and you will not find me saying I will #DeleteFacebook. More complex choices. I have experimented with Ubuntu on Mac hardware. I have contemplated building a Hackintosh. I switched to Android for a while, but returned to iOS. And yet I stay with Apple hardware for the moment. Why? It starts with my computer – I use it all day, every day. That is the nature of my work. I write blog entries with it, present with it, email with it, you name it. It is on all the time. It is my most important gadget by an enormous distance. And for me, MacOS still is better than Windows or Ubuntu. Starting from that basis, I then need a phone that will work best with that – and that too means an Apple device. For info, I have a 2017 Retina MacBook Pro without a touch bar, and an iPhone 6S at the moment. Yes, I know Ubuntu would be a better bet, ethically. But trying to use it as my everyday OS was too frustrating – LibreOffice and GIMP were not up to scratch. And when I used Android I found I was jumping out of Apple’s ecosystem straight into Google’s – from the devil to the deep blue sea. Plus iOS has a solid security record, and Apple makes money by selling gadgets, not by selling data. Plus couple all of that with my approach to cloud services and calendar and contacts sync explained above and I am a reasonably ethical Apple user I hope. Comments and suggestions have also been coming in on Twitter – I will keep adding to this list! Search: a Searx instance: see https://t.co/yITCVReJuW. Messenger: Signal is probably the most secure. Email: I'd add Countermail if real security is wanted. If you find yourself on Windows 10, https://t.co/1iCnsiO42l is a good tool to minimise tracking. I'd also cover VPN use - at top of my list. Best I've found so far is ExpressVPN. Leave it always on. And ublock origin (https://t.co/K1ekwhI9KA) [either in simple mode, or expert mode if you prefer] stops much tracking (in Chrome/Chromium, and Firefox and its forks) dead. And (this is my last! ), ghacks[dot]net has an excellent post on Windows 10 privacy tools, for those who would benefit: https://t.co/PnhLm1Z9vb. You're using ABP? Try uBlock. It's a much better adblocker. It blocks an entire site via 'strict block' in contrast to blocking only the scripts on a website as ABP does. So uBlock provides better protection. Further suggestions have flowed in from friends elsewhere – to use Jabber/XMPP as a Messenger (Mailbox.org supports this), and Adium looks like a reasonable client for this on MacOS. Regarding cloud services, Nextcloud, CozyCloud and pCloud have been suggested, with a strong case made that Nextcloud is a better bet that ownCloud. I’m yet to try these, so cannot confirm personally. Today I closed by Gmail account for good. This is why. Thanks, Jon, indeed it is a balancing act. My choices: StartPage, Signal, Firefox, Gmail (sigh), paper diary, Google Maps (and OpenStreetMap), external harddrive for backing up, read-only Twitter, no Facebook (this improves life greatly), Ubuntu. Also Fairphone (Android; MyLocalAccount). Good on you, Jon, for calling out their hypocrisy and presenting practical alternatives. Try giving HERE Maps a go, it also supports downloadable maps and full offline functionality. The data and rendering/routing engine is same professionally gathered data and technology stack used in most of the world’s car sat nav units, so whilst the business/amenity listing aren’t as good as Google or OSM, the data quality and offline navigation is top notch. It will even try to do public transit routing offline, or integrate with the BVG planner(amongst others) if online mode.